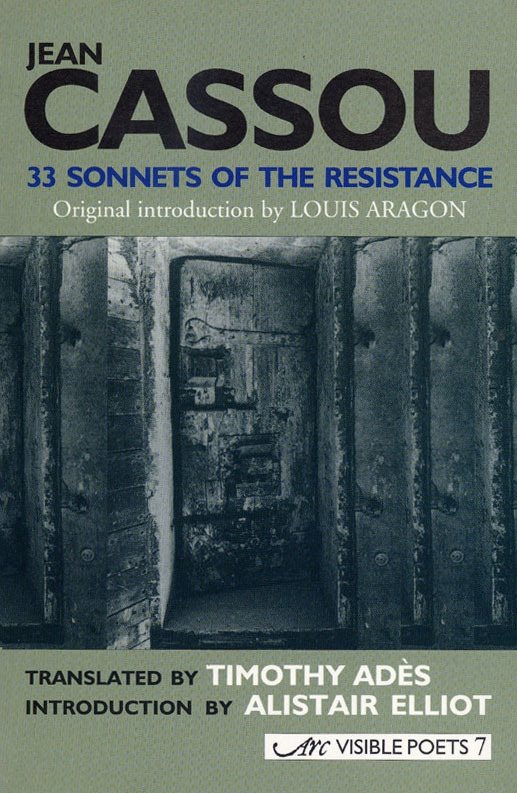 33 Sonnets of the Resistance by Jean Cassou (composed and memorised in a Vichy prison), Arc Publications, second edition 2005 (equal first, BCLA/BCLT prize, 1996). Introduction by Alistair Elliot with an original introduction by Louis Aragon. 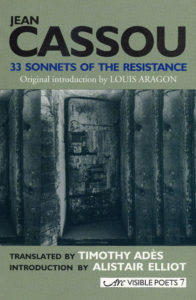 An extraordinary collection of sonnets composed while the poet was in solitary confinement and deprived of writing materials in a Vichy prison between December 1941 and February 1942, in a new prize-winning translation. Through his fine and thoughtful translation of these sonnets and a selection of Cassou’s later poems, Timothy Adès gives us the opportunity of discovering an unfamiliar – and now historical – poetic voice.